Il buon giorno si vede dal mattino! Sept. 13th 2003. My voluntary daily submission. Under different filters, the persons disappear or appear. Here we have consistently the Fire Dragon, best under a green filter the delicate Comet Dragon, and in all but the blue filter the White Persona. 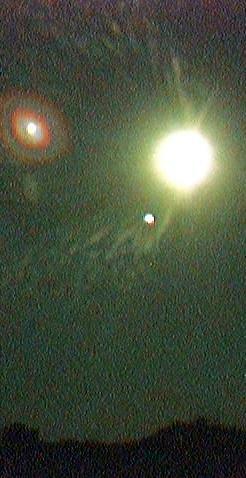 In all, the Dust Cloud wafting away to the left can be seen.